Baby shower games are all about having lots of fun activities to keep the guests entertained and busy. The varied activities played by friends and relatives make the occasion complete. So it is important to plan the games beforehand to ensure that there is no interruption when the game is played. All the arrangements should be made earlier and so choose some of the best baby shower games for boys if you are already aware of the gender of the baby. Guess what is inside the bag: To play this game, you need about 10 to 15 paper bags and about 10 -15 baby items. Now place each baby item into one bag and number it from 1-10 or 15 and when playing the game, pass it randomly to all the guests. The guest should try to figure out what is inside each bag without opening it and the one who has guessed the maximum win the prize. 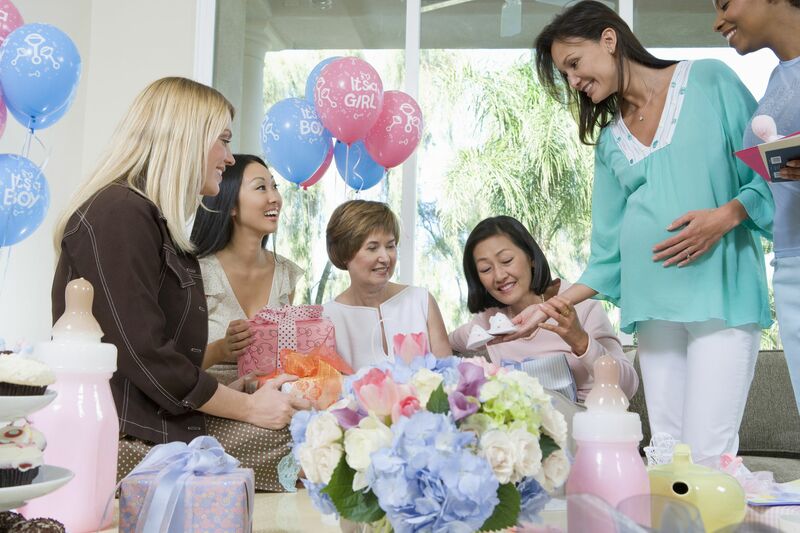 Funny mommy quiz: It is very important to keep your guests excited and busy while they celebrate the baby shower party. Arranging for some fun with simple baby shower game ideas for boys will keep them tuned and have a fantastic time. This is one of the easiest and popular baby shower games for boys that includes about a list of 20 or more questions about the would-be mom. The guests have to answer to the questions and see who knows her the best. The person with the most correct answers wins. The baby name game: This baby shower game for boys is an all-time favorite and it is not only exciting and fun, but it also helps the parents to have an idea of potential baby names they might be willing to consider in future. This game will need several sheets of papers and some pens. Ask the participants to write baby boy names starting with a specific alphabet of your choice within the specified time period. The guest who has written the most names on the list within the time limit wins the game. Party favors and mini diaper game: This is a new baby shower game for boys where you can combine the party favors together with the game. You can create mini diapers from blue color fabric and pin them together with gold tone safety pins. Now add things like baby shower mint chocolate candy, tea bags, jelly bellies and etc. But in one of the diapers you can put a surprise gift like rose soap or scented small candles and personalized candy jar. Now hand over each guest the baby diaper with the gift items and the guest who receives the diaper with the surprise in it wins the prize. So, whether you are planning for an afternoon tea party or a full-fledged fete, arranging for some wonderful games for your guest to show your love and appreciation will create lasting memories of that special day. The above baby shower games for boys will help to bring your guests close to the parents to be and spend some wonderful time together.